It's A Monitor That Sits on Your Desk. And Your Lap. Small-time peripheral company GeChic feel that there's a place in the market for a portable monitor. A slimmer version of your desktop monitor that can run on battery power. After using one for a week I'm not so sure, even if their hearts are in the right place. With an official title of "On-Lap 2501M", this device is literally nothing but a 15.6" LCD monitor with speakers and a small attached kickstand. There are a variety of display port inputs down the right side, and there are adapters in the box for many more, meaning you can attach all kinds of hardware to it, from a PC to cameras to consoles to phones. It can run on power, via an AC adapter, but the point here is that it's got its own battery, letting you take it on the road (or the house, in spots you don't want to plug something in). Emergency TV - There was one point in my week where this thing was an absolute life-saver. Stuck at a relative's house for a holiday dinner, my way-past-her-bedtime kid needed some cartoons, and the only cartoon delivery device I had on me was my phone. Hardly ideal. But plugging my phone into the 2501M bought me an extra hour's peace, which was priceless. Portable - GeChic did well on delivering on their promises of portability with the 2501M, as it's not only slim (17.3mm) but light as well (2.8 pounds). If you can fit a laptop in your bag, you can fit this real easy. Kinda Pointless - ... if you hadn't worked out it was a pointless exercise to begin with. If you're playing an Xbox or PS3, you need power. 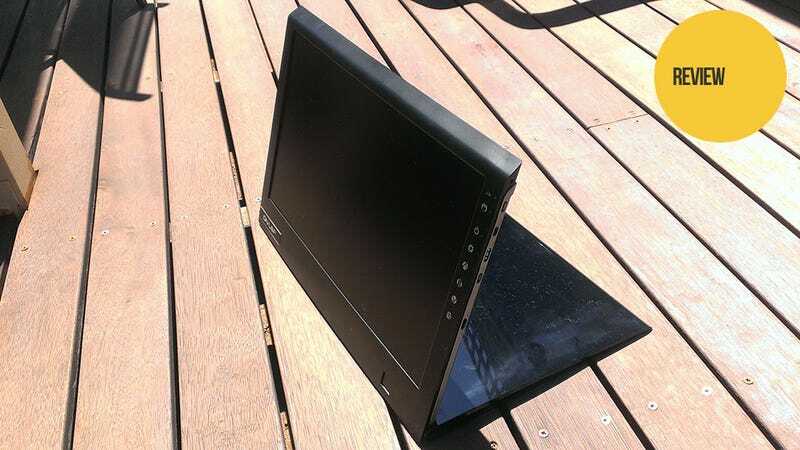 Meaning the benefits of a battery-powered portable monitor are all but lost. I'm pretty sure the reason GeChic wanted me to take a look at this was the fact I reviewed the Gaems G155, but that doubled as a travelling storage solution, and also included a much better screen. This just isn't practical enough to work for console gaming. Or phone gaming, for that matter, because it doesn't serve as a touch-screen replacement, just a monitor, so unless you're using a pad you've got to be touching your phone while looking somewhere else. Build Quality - The add-on support stand is frightfully cheap. 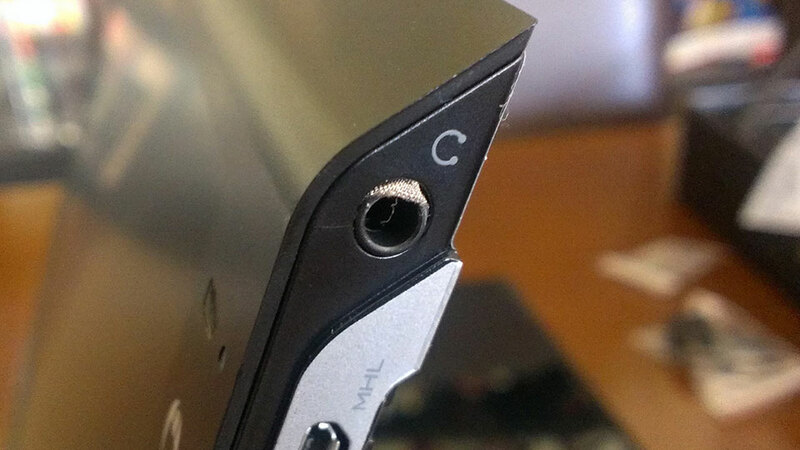 And while the main unit is generally OK, there were a few alarming exceptions, like some weird mesh poking out through the edge of my headphone jack. I wanted to like the 2501M, because as with the cartoon episode drama above, I thought there'd be situations where it'd come in handy. And hey, for more casual users and those without an iPad who... like to read in bed, it might be. But for gamers, there's not much here to recommend.